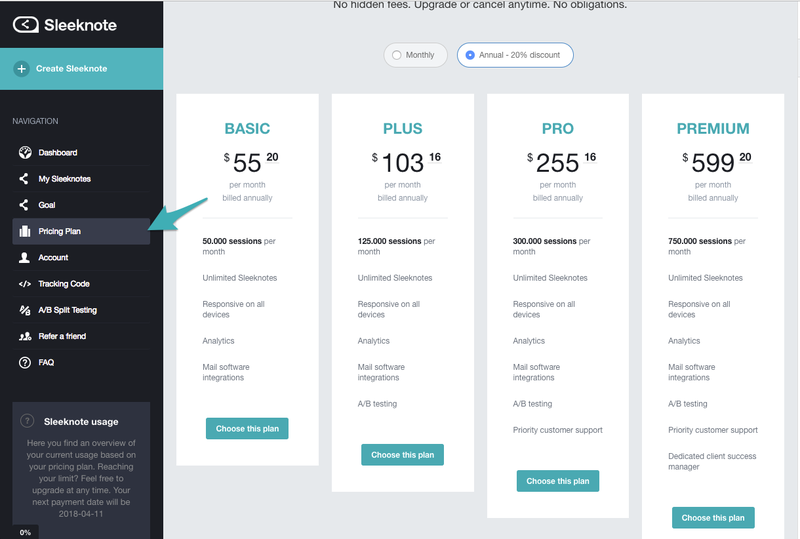 If you would like to subscribe to Sleeknote or upgrade to a larger plan, the pricing plan section will let you check the actual pricing and the features in the different pricing plans. 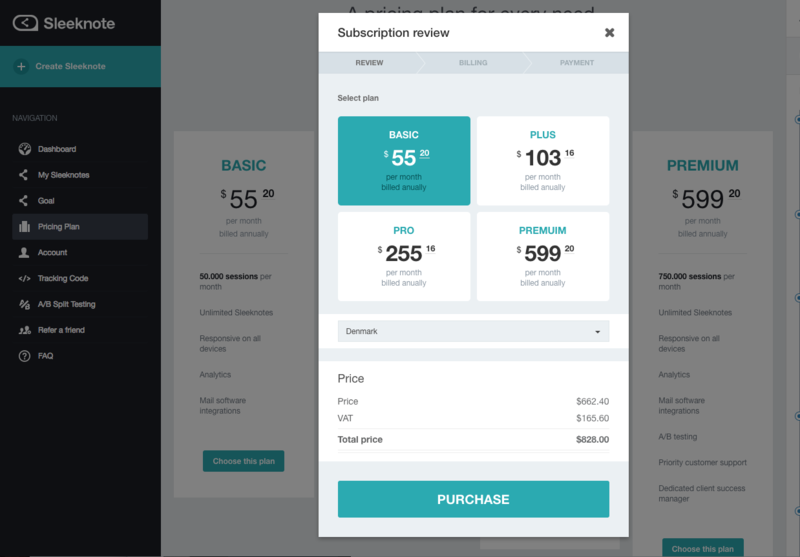 Additionally, you can use a coupon code or tweak the pricing to receive an additional discount. Sleeknote is a very flexible solution, and if you are interested in a custom plan simply drop us an e-mail so we can create a plan tailored to your needs. 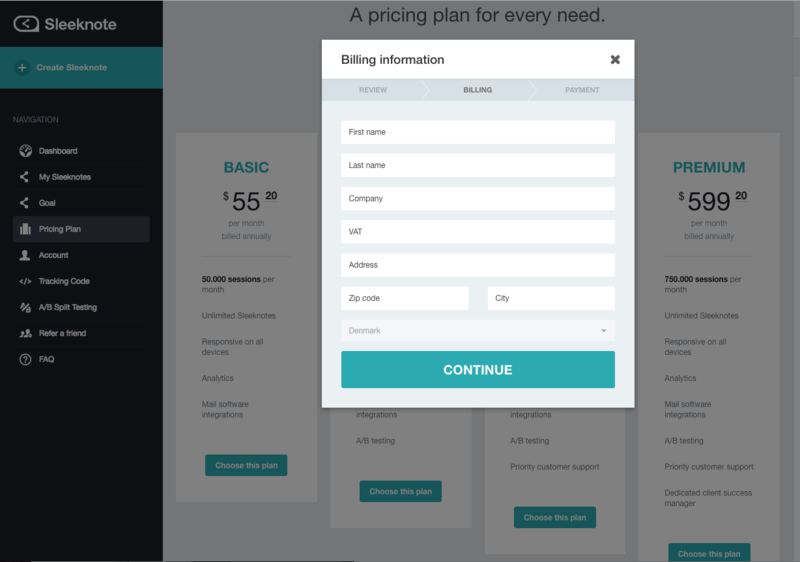 Once you click “choose this plan” you will be redirected to our billing form. Choose your country and press "Purchase". Fill out all your billing information with first name, last name, company, address, zip code and city. 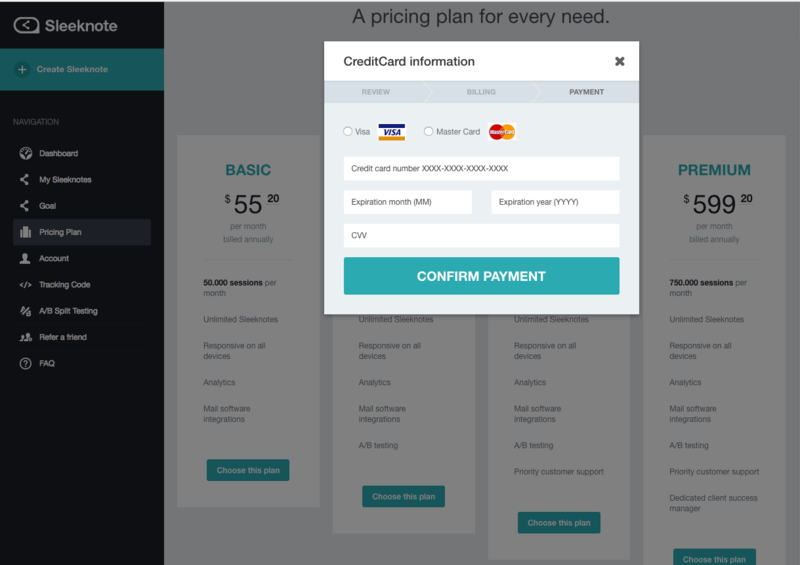 Choose your credit card and fill in your information. Press confirm payment and you are now a part of the Sleeknote family!